Peter Feer, certified executive coach, is a former mergers and acquisitions investment banker. Peter Feer, former mergers and acquisitions investment banker, professionally-trained and certified executive coach, has always had a keen interest in recognizing and bringing out the best in friends, colleagues, clients and other professionals. After nearly twenty years of a rewarding investment banking career representing public and private clients in a wide variety of industries in over 50 M&A transactions, Peter took a mid-life pause to change his career to focus on what he had always enjoyed most about mergers and acquisitions – mentoring, challenging and motivating his colleagues, clients and other deal team members. Peter earned an MBA from the Amos Tuck School of Business at Dartmouth College and a BA in History from Dartmouth College. Peter’s formal coaching education and certification was obtained through the ICF-credentialed Coaches Training Institute, developer of the highly regarded Co-Active coaching model. Peter is also certified by the International Coaching Federation, currently holding the Professional Certified Coach designation. Peter lives with his two sons near Denver, CO. Since 2010, Peter has amassed over 1,400 hours coaching over 80 client CEOs, COOs, senior investment bankers, private equity professionals and hedge fund employees. 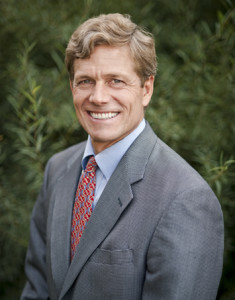 Prior to beginning his executive coaching career in 2010, Peter was a Managing Director with St. Charles Capital in Denver, CO, a leading middle-market investment bank, focused on raising capital for and selling middle-market businesses. Previously, Peter was a senior member of the San Francisco office of Harris Williams & Co., a leading middle-market investment bank based in Richmond, VA, a Managing Director of KeyBanc Capital Markets in San Francisco, CA and a Partner at The Wallach Company, Inc. of Denver, CO.